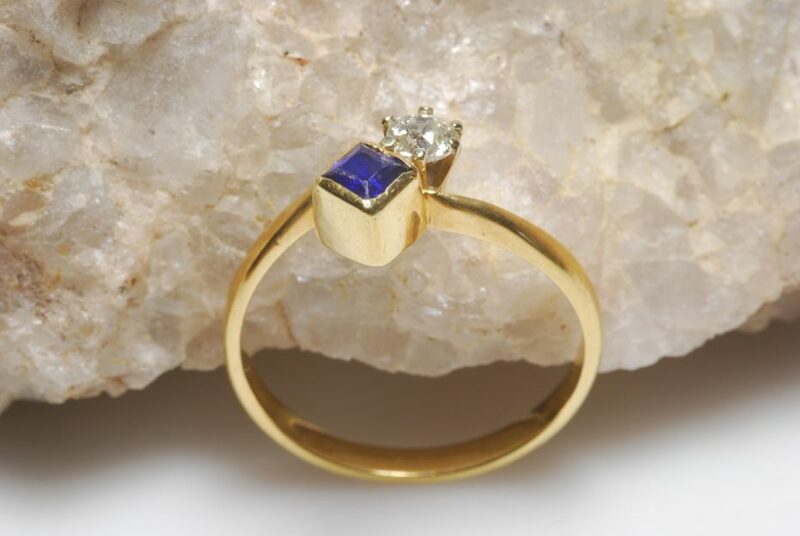 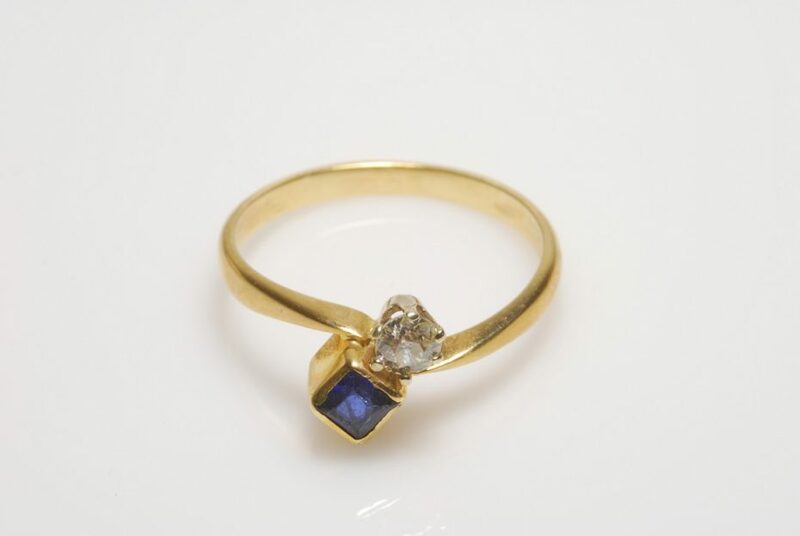 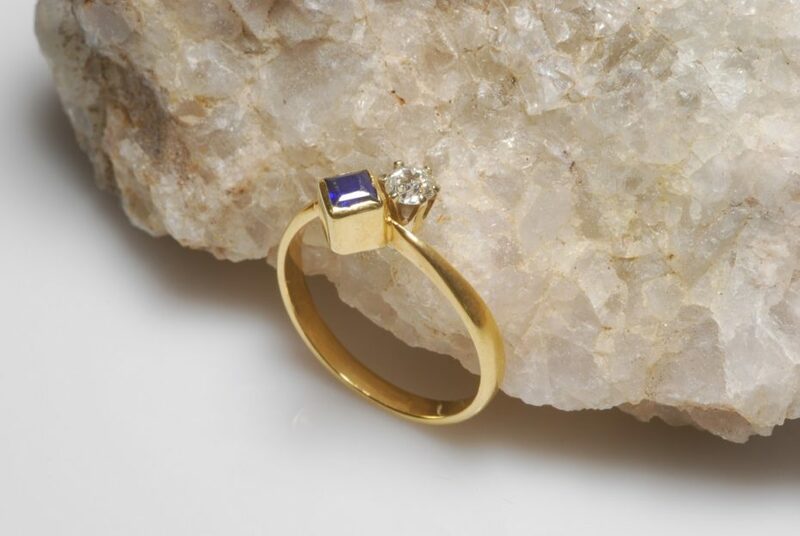 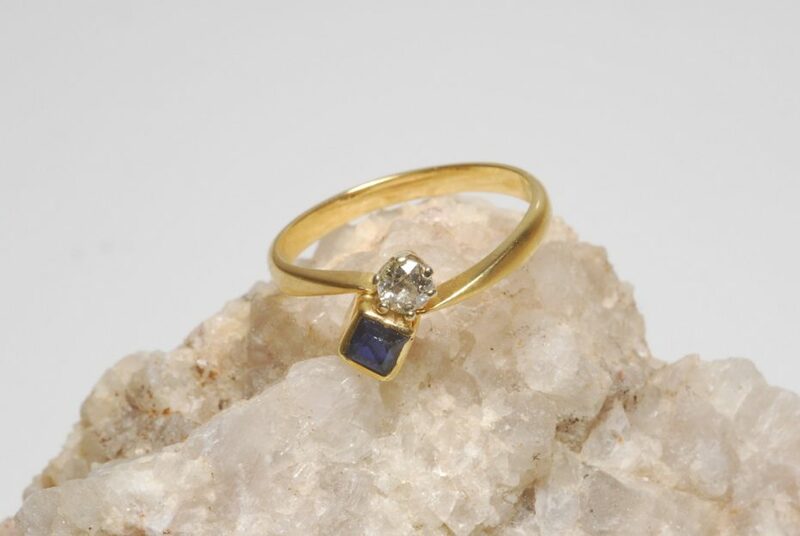 14K golden diamond and sapphire ring set with a brilliant cut diamond with an estimated weight of approx 0.20 crt. 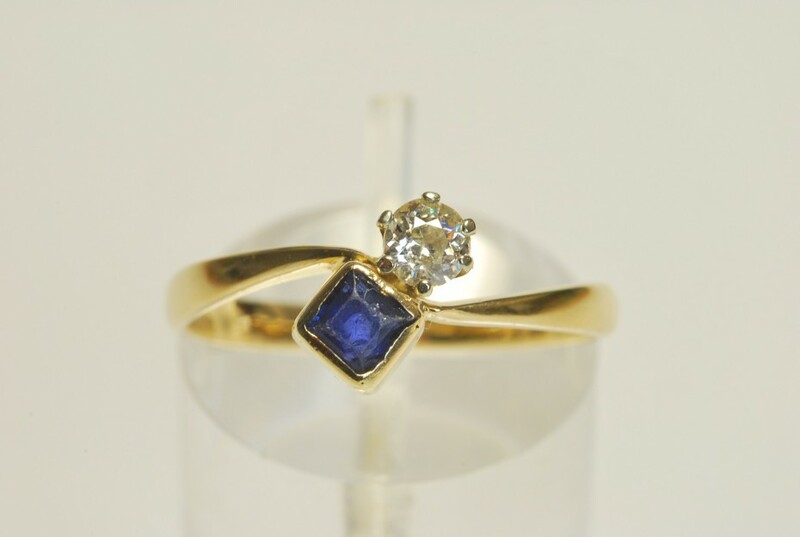 Top Wesselton – Si and a "princess" cut sapphire. Ring size is 55.